Dad’s Garage, Madmen and Poets Poetry and improv may seem like strange bedfellows, but at Dad’s Garage they’re a perfect match. In the third installment of Madmen and Poets, spoken word artists and improvisers will play off of each other to create a unique onstage experience. You won’t want to miss it! April 13 at 8 p.m. 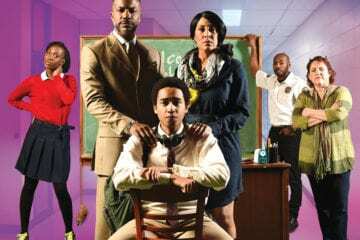 Horizon Theatre, Pipeline In this timely drama, an inner-city school teacher’s son is entangled in the school-to-prison pipeline. In 90 minutes, MacArthur Genius Award-winner Dominique Morisseau explores parenting, private versus public schools and how everyone isn’t given the same start. Through April 21. Alliance Theatre, Approval Junkie A comedian and Emmy Award-winning journalist, Faith Salie is best known for her work on NPR’s Wait Wait…Don’t Tell Me! In this one-woman show, she returns to Georgia to adapt her memoir into a heartfelt (and disturbingly hilarious) play about her life as a perfectionist. Through April 28. 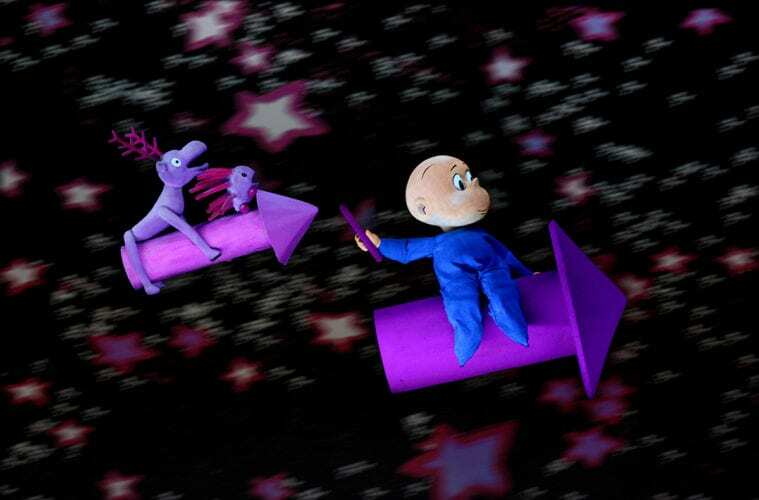 Center for Puppetry Arts, Harold and the Purple Crayon Based on the beloved children’s books, this new puppet show incorporates technology for an almost 4-D experience. Through the use of projections and black lights, the puppeteers at the Center for Puppetry Arts create a visual experience that delights kids of all ages. Through May 26. Serenbe Playhouse, Shenandoah In this Civil War musical, a father faces a tough choice when his son is caught up in the fractures of a divided country. Starring American Idol winner Taylor Hicks, this is certainly one for the history books. Through April 14. Alliance Theatre, Angry, Raucous and Shamelessly Gorgeous Atlanta’s own Pearl Cleage is back on the Alliance main stage with a comedy. Anne and Betty are best friends who return to the United States for an arts festival after 30 years of living abroad. However, they find that the country is quite different than it was in the ’70s. In this world premiere, Cleage explores aging in art and generational differences among women. Through April 14.